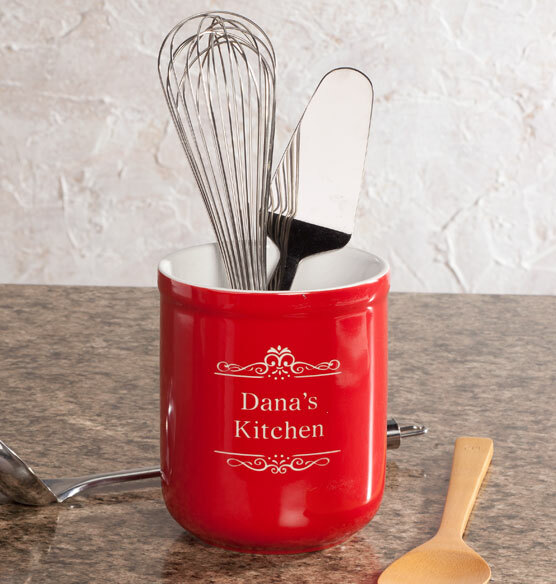 Creating a gift of lasting sentiment, we’ll add a single initial or personal message to this personalized utility crock—artfully sand etched for elegant, lasting results. A versatile home for kitchen utensils, potted plants and more, the durable glazed stoneware crock is a wedding or shower gift they’ll use and love for many years to come. 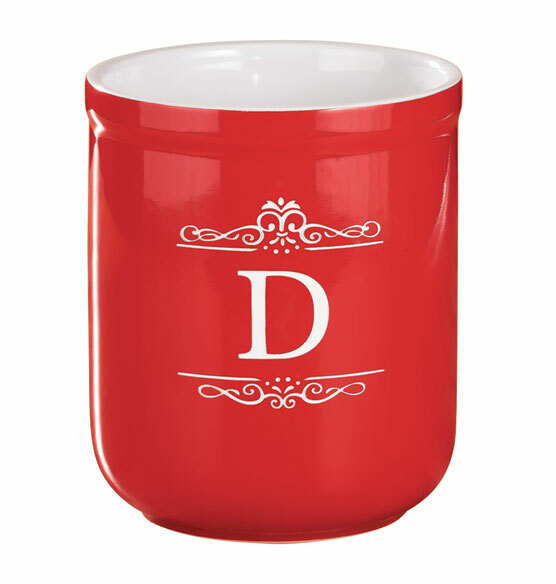 Etched with message or monogram. Specify 1 initial or name/message; limit 2 lines, 20 letters/spaces each. Dishwasher-safe. Ceramic crock measures 6" high x 5" dia. 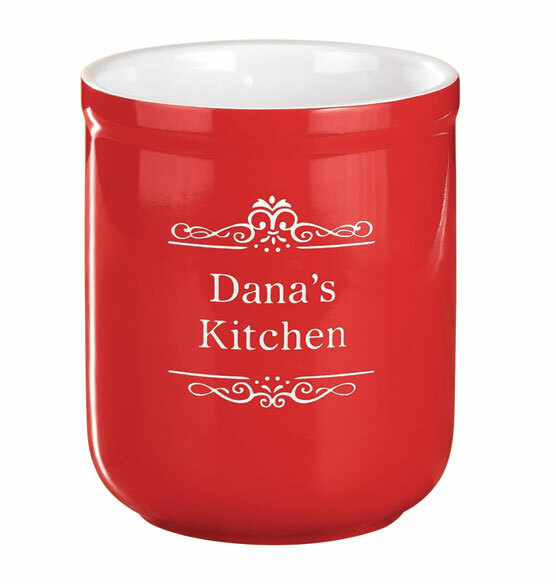 Great for holding cooking utensils. Lovely shade of red. This was a gift for my daughter. Her first words were "I got whatchamacallits". she loves it.